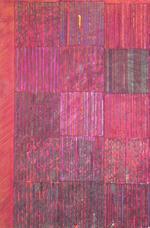 Untitled (Magenta Cut Paper Moticos), circa 1958-1960, collage on illustration board, 10 3/4 x 7 1/8 inches. Untitled (14 Squares), circa 1956, collage on cardboard panel, 20 1/4 x 15 inches. 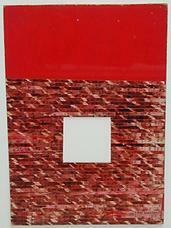 Untitled (Moticos with Red Ground), 1958, collage on cardboard panel, 11 x 7.5 inches. Untitled (Moticos with Orange Yellow Paper Strips), circa 1955-1957, collage on cardboard panel, 11 x 7.37. Christmas Trees, 1957, collage on cardboard panel, 17 3/4 x 21 3/4 inches. David Zwirner is pleased to present Josef and Anni and Ruth and Ray as the inaugural exhibition at the gallery's 34 East 69th Street location. Featuring work by Josef Albers, Anni Albers, Ruth Asawa, and Ray Johnson—all of whom were at Black Mountain College in North Carolina in the late 1940s—this exhibition will explore both the aesthetic and personal dialogue between these artists during their Black Mountain years and beyond; and will include a number of works exchanged amongst the group, in addition to a selection of key compositions influenced by their time there. Josef and Anni Albers arrived at Black Mountain College in 1933, both having studied and subsequently taught at the Bauhaus for nearly a decade. It was through the Alberses that the pedagogy of the famed German art school, which espoused ideals of radical experimentation and an open interchange of ideas, was imported and adapted in their new setting. As Asawa recalls, Josef Albers would open his Basic Design course by saying, "Open your eyes and see. My aim is to make you see more than you want to. I am here to destroy all your prejudices. If you already have a style don't bring it with you. It will only be in the way"1—in essence paraphrasing the aesthetic philosophy that came to define Black Mountain College as a progressive and avant-garde institution in those years. Johnson arrived as student in 1945, and Asawa subsequently in 1946—both quickly availing themseves of the Alberses's guidance, which was particularly unexpected in the case of Johnson, whose nontraditional approach contrasted with the older artists' formal rigor. The influence of Josef and Anni Albers is especially visible in Asawa's and Johnson's works from the period, a number of which will be on view. Rather than emphasize technique in his classes, Albers pushed his students to focus on, as in his own work, the articulation of form through color by asking them to limit themselves to a small number of basic shapes and motifs. For example, in a painting on paper from c. 1946-1949 inscribed and gifted to Anni Albers, Asawa uses subtle modifications in color and form to create a sense of depth and motion within the otherwise flat picture plane. Similarly in a rare figurative composition by Johnson from 1946, watercolor shapes and colors overlap and coalesce to form an abstracted portrait of Asawa, later given to her. Other highlights from the exhibitions include two vibrant Leaf Studies by Josef Albers made by adhering leaves from Black Mountain's environs (a motif also used by Asawa) to colored paper that were recently featured in the traveling exhibition Leap Before You Look: Black Mountain College 1933-1957; Asawa's first looped-wire sculpture from 1949; a group of Moticos by Johnson sent to Asawa in San Francisco; and a Pictorial Weaving by Anni Albers from 1950. A selection of archival materials, including photographs from Black Mountain College and letters exchanged amongst the artists, will also be on view. These materials are drawn from the collections of the Josef and Anni Albers Foundation, The Ruth Asawa Papers at Stanford University and the Asawa family, and the Estate of Ray Johnson. Anni Albers (née Annelise Fleischmann; 1899-1994) was a textile artist, designer, printmaker, and educator known for her pioneering graphic wall hangings, weavings, and designs. She was born in Berlin, and studied painting under the tutelage of German Impressionist Martin Brandenburg from 1916 to 1919. After attending the Kunstgewerbeschule in Hamburg for two months in 1920, she enrolled at the Bauhaus in 1922. She was assigned to the Weaving Workshop, and she came to approach the discipline with relentless experimentation, regularly incorporating nontraditional materials into her compositions. Upon completing her course of study there in 1929, Albers joined the Bauhaus faculty. Emigrating to the United States in 1933, Albers elaborated on the technical innovations she devised at the Bauhaus at Black Mountain College, developing a specialized curriculum that integrated weaving and industrial design. It was during this time that she began to avidly collect Pre-Columbian art, in particular textiles. In 1949, she became the first textile artist to have a one-person show at The Museum of Modern Art, New York. Following the Alberses' move to New Haven in 1950, Albers shifted her focus primarily to her workshop, spending the 1950s creating mass-reproducible fabrics, writing, and developing her "pictorial weavings." 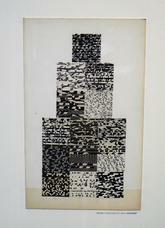 In 1963, Albers added printmaking to her artistic repertoire, working primarily in this medium from that point on. Her prints have been featured in numerous exhibitions worldwide. Her seminal book On Weaving, published in 1965, helped to establish design studies as an area of academic and aesthetic inquiry and solidified her status as the single most influential textile artist of the twentieth century. Josef Albers (1888-1976) is considered one of the most influential abstract painters of the twentieth century, as well as an important designer and educator. Albers's artistic career, which bridged European and American Modernism, consisted mainly of a tightly focused investigation into the perceptual properties of color and spatial relationships. Working with simple geometric forms, Albers sought to produce the effects of chromatic interaction, in which the visual perception of a color is affected by those adjacent to it. Albers's precise application of color also created plays of space and depth, as the planar colored shapes that make up the majority of his works appear to either recede into or protrude out of the picture plane. An influential sculptor, devoted activist, and tireless advocate for arts education, Ruth Asawa (1926-2013) is best known for her extensive body of hanging wire sculptures. Intricate, dynamic, and sinuous, these works, begun in the late 1940s, continue to challenge conventional notions of sculpture through their emphasis on lightness and transparency. Relentlessly experimental across a range of media, she also produced an extensive body of drawings and prints that, like her wire sculptures, are often built on simple, repeated gestures that accumulate into complex compositions. Born in Norwalk, California to Japanese immigrants, Asawa enrolled in Milwaukee State Teachers College in 1943, but was unable to receive her degree due to continued hostility against Japanese Americans. 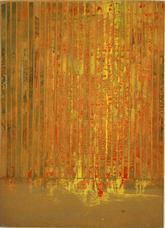 In 1946, Asawa began to study at Black Mountain College, embracing in this setting her own vocation as an artist. In addition to her wire sculptures, Asawa is well known for her public commissions, particularly in San Francisco and the wider Bay Area. These include the much beloved fountains in Ghirardelli Square (1968) and outside the Grand Hyatt San Francisco (1973). Upon moving to San Francisco in 1949, Asawa, a firm believer in the radical potential of arts education from her time at Black Mountain College, devoted herself to expanding access to art-focused educational programs. She co-founded the Alvarado Arts Workshop in 1968 and was instrumental in the opening of the first public arts high school in San Francisco in 1982, which was renamed the Ruth Asawa San Francisco School of the Arts in her honor in 2010. Ray Johnson was born in Detroit, Michigan in 1927. 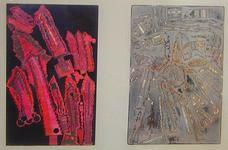 He began his artistic training at Cass Technical High School, and then at Black Mountain College from 1945-1948. In early 1949, Johnson moved to New York City with fellow Black Mountain associates Richard Lippold and John Cage, as well as the avant-garde musician Morton Feldman. Johnson's body of work spans many media, but he is most known for his intricate and complex collages, and his mail art project, The New York Correspondance [sic] School, a movement that utilized the postal system as a means of distribution outside of the commercial art world and that eventually reached international proportions. In 1968, Johnson moved to Long Island, New York, where he lived and worked in increasing isolation. While Johnson's work is less widely known, his significance is now being generally acknowledged along with his influence on key figures in the art world who were often his friends such as Andy Warhol, Chuck Close, James Rosenquist and Jasper Johns. He is associated with several art movements and groups, such as Pop Art, Conceptual Art, and the Fluxus group. Johnson continued to produce work until his suicide in 1995, an act that many consider to be his last performance.